The legislation was introduced on a phased basis but all transitional dates have now passed. From 1st October 2008, with very few exceptions ( eg Places of Worship and buildings to be demolished) all commercial buildings being sold or let must have an EPC in place before being advertised for sale or letting. 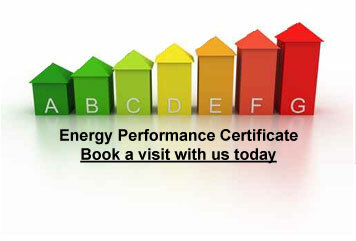 Once completed the EPC is valid for 10 years. As well as the Energy Rating it contains a number of recommendations for consideration by the owner which might improve the efficiency of the building in terms of the fabric of the building together with its heating, cooling, ventilation, glazing and lighting systems. The amount of time required to complete the visit and prepare the EPC depends on the size and complexity of the conditioning systems ( ie its heating and ventilation). Our assessor will measure the size and shape of the building and take notes on heating, ventilation, glazing and lighting systems. We will require access to all areas of the building and ask you to notify any staff and other occupants of our presence on the day. Health and Safety at Work is of critical importance to Clarius so we will expect you to ensure that no avoidable hazards are present on site and where any risks exist these are clearly notified in advance of our visit.